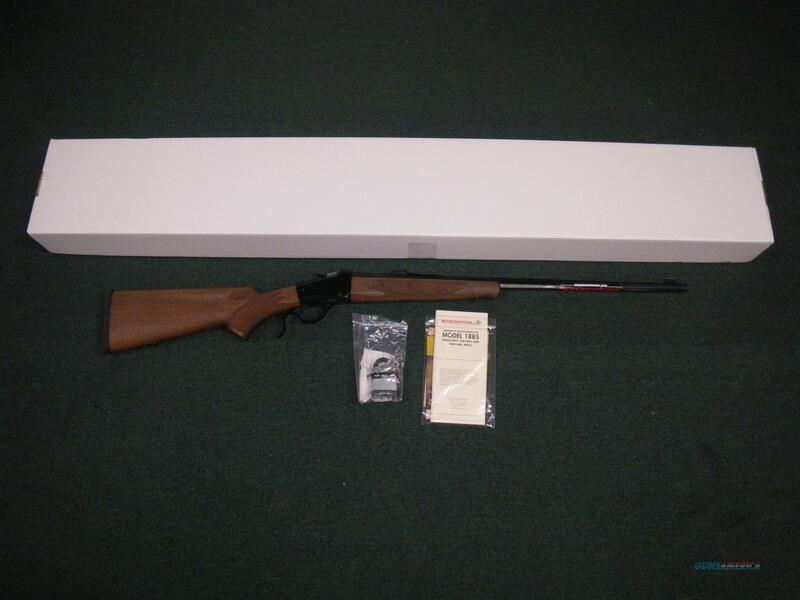 Description: You are bidding on a new Winchester Model 1885 Lo-Wall Rimfire in 22 Magnum with a 24" octagon barrel. Hailed as "the most reliable, strongest, and altogether best single shot rifle every produced", the 1885 rifle set a new standard for accuracy in its time. The 1885 still produces superb accuracy in a classic style. The Low Wall Hunter Rimfire is the perfect gun for honing your shooting fundamental skills, or teaching those skills to a beginning shooter or hunter. Displayed images are stock photos. Any questions please feel free to ask (our phone number is in the additional information tab above).